Architect Richard Hawkes of Hawkes Architecture, renowned for his sustainable designs, will feature on this week’s episode of ‘Grand Designs: Living in the Country’ where Kevin looks at the challenges of self-building in the Great British countryside. 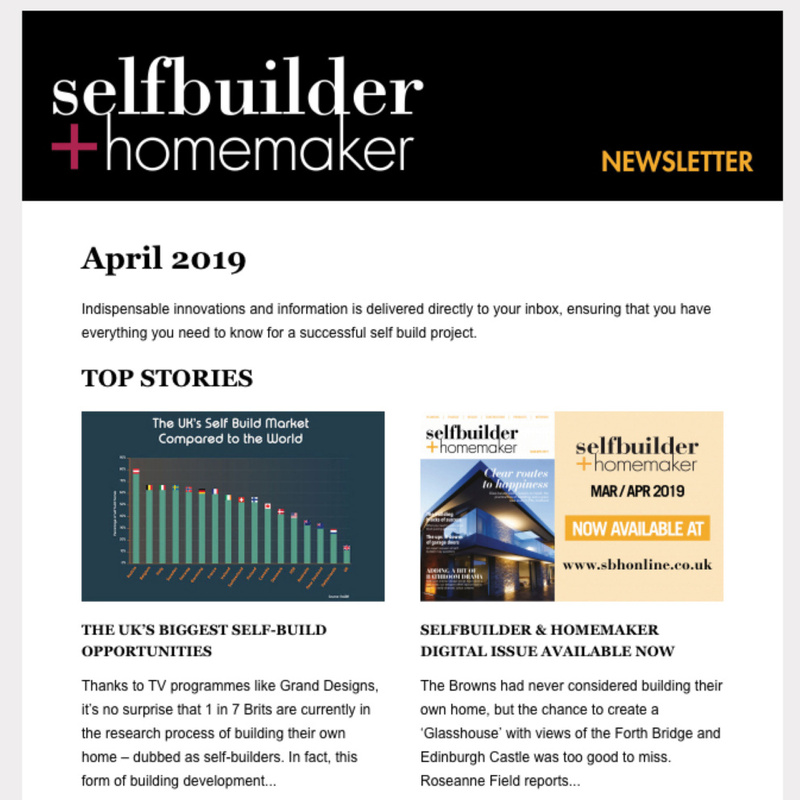 The programme includes a further visit to Richard’s own Grand Design project, the Crossway Passive House (or the ‘eco arch’ house as it’s often referred to). Kevin also talks about the constraints of developing in the countryside and also the opportunities offered in planning to enable such development to happen. Kevin interviews Richard about his practice which has forged a reputation for being able to obtain planning consent under the unique national policy provision known as NPPF paragraph 55 (formerly PPS 7 paragraph 11). 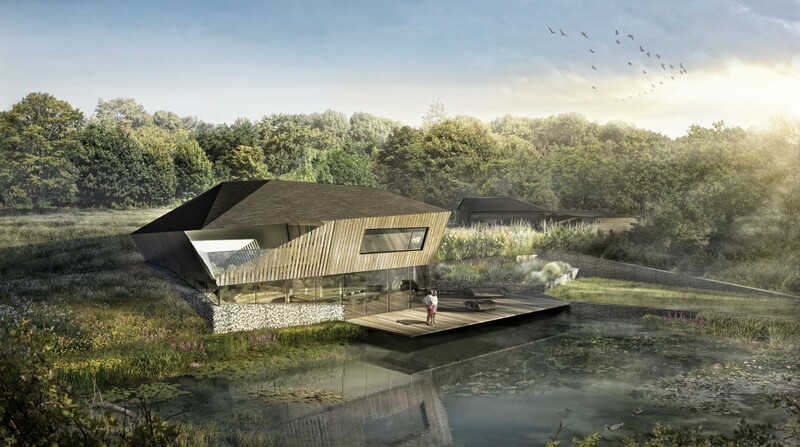 Hawkes Architecture has succeeded on all ten occasions when submitting proposals for a new house, often in highly protected and sensitive areas of open countryside such as Green Belt, AONB and even within a scheduled Ancient Monument. In the programme Kevin interviews Richard about this unique and fascinating element of national planning policy provision which was first introduced back in 1997 by the then Secretary of State, John Gummer and originally known as “The country house clause” or “Gummer’s law”. 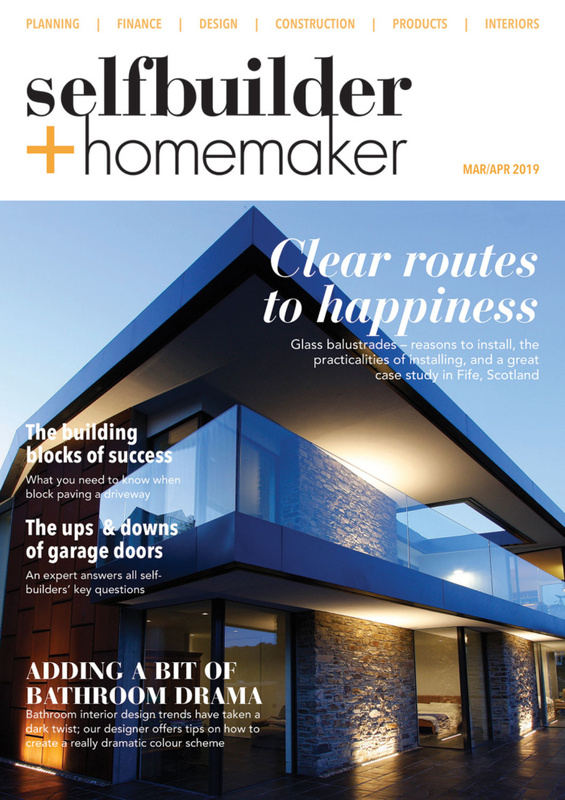 First featured on Grand Designs in February 2009, The Crossway Passive House was one of the earlier houses to be granted under the predecessor of this policy (PPS 7 paragraph 11). Crossway is located just outside the Kent village of Staplehurst. 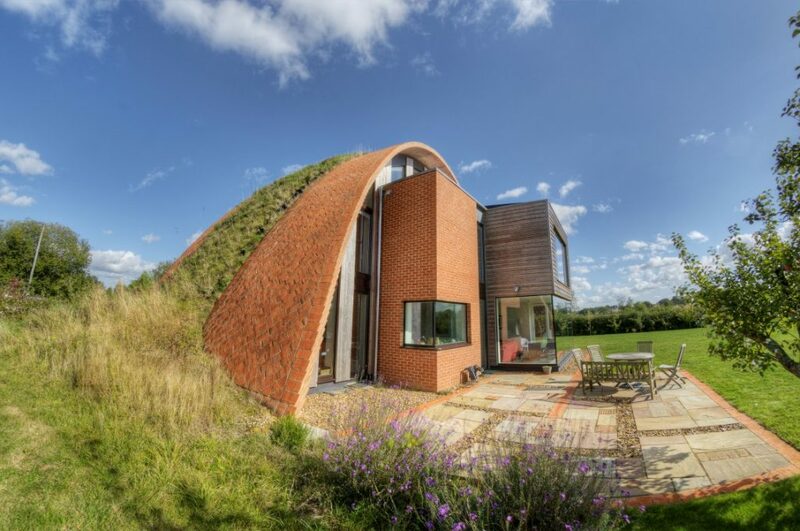 Designed by Richard, who now lives in the domed eco house with his family, Crossway is more than just a rural idyll; it set a new benchmark in inspirational sustainable architecture when the initial Grand Designs programme was aired back in 2009. The iconic feature of this pioneering house is a scarily thin soaring arched roof. Made by gluing clay tiles together using Plaster of Paris without any formwork, this in turn supports over 100 tons of soil which is now host to a thriving wildflower habitat. The house has incorporated the country’s first Solar PV-T system, harnessing the sun’s energy as both heat and electricity and a phase change material heat storage system. Crossway has always been a sustainable energy powerhouse which Kevin McCloud of Grand Designs referred to as, “an architectural first” in the original programme. In 2009, the building was very much ahead of its time; an architectural signpost pointing towards many energy efficient features that are now being adopted into mainstream housing design. But Crossway hasn’t stood still. 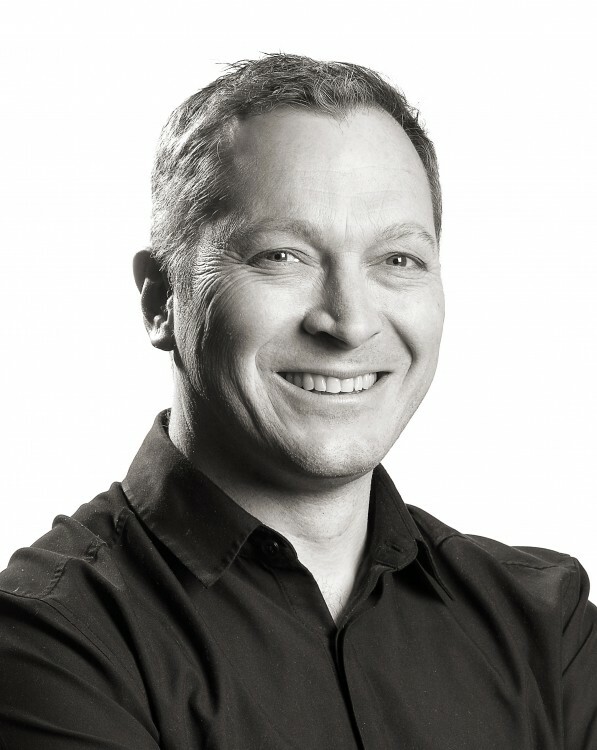 Richard’s passion for eco-design has meant that Crossway’s technology has always been iterative – a live test centre for cutting edge technologies. And it is these new technologies that have brought Kevin McCloud and the Grand Designs team back for a re-visit. Hawkes Architecture is the UK’s leading architectural practice specialising in residential design within countryside locations. 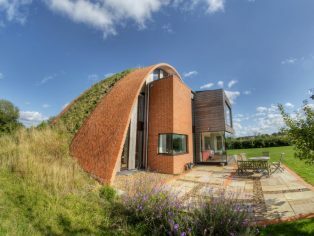 The practice has a reputation for designing inspirational and innovative sustainable homes which often require National Planning Policy Framework Paragraph 55 as a policy mechanism for consent. The Practice has just celebrated its 10th Para 55 approval, the third in five months. “Paragraph 55 is a unique piece of national planning policy. It’s a rare occasion where at a national level there is an aspiration to raise the standard of housing design in the UK. Brooks Barn in West Sussex is Hawkes Architecture’s 10th project to receive planning approval under Paragraph 55 (or its predecessor, PPS 7). The design features a Super insulated SIPS frame, has a <15 kWh/m2/annum heat load and a <80 kWh/m2/annum predicted Primary Energy consumption. It will achieve an A/A EPC rating.